How Important is Sharing Jesus’ Hope With Others to You? 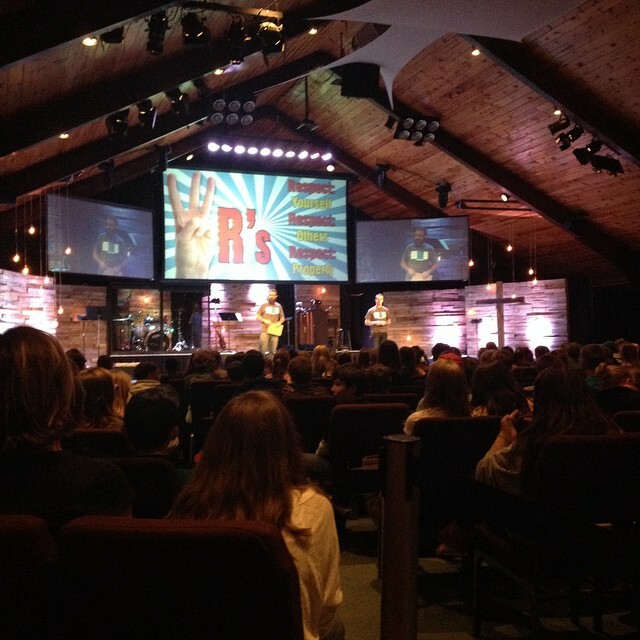 Last night, I had a chance to speak to about 400 teenagers at a See You at the Pole Rally in Big Lake, MN. It was an awesome night. Dozens of students prayed to accept Jesus’ gift of salvation. Many of those who prayed had been invited to the event by friends. A recent study showed that the majority of churchgoers never invite their unchurched friends or family members to church. Most people come to church because of a personal invitation. 7 out of 10 unchurched people have never been invited to church in their whole lives. The top “rational” reason adults seldom or never attend church is they don’t agree with organized religion or what they preach (24 percent). Do you know what Jesus encouraged the disciples to do about those who were outside of the family of God? To pray. There is no question that we live in a day and age where the harvest is plentiful but the laborers are few. If you are a follower of Jesus, you are called to be his laborer. Jesus called His disciples to be people who make disciples. In His Great Commission, in Matthew 28:18-20, Jesus commanded us to go into all the world to make disciples. So, Jesus told the disciples to pray that the Lord of the harvest would send laborers into the harvest. Later He commanded His disciples to be those laborers, promising His presence when they would obey. So, why aren’t we inviting others to join in the family of faith? If 98% of those who identify themselves as followers of Jesus won’t invite someone to church this year, what does that say about us? What does that say about who we believe Jesus to be? Some might argue, inviting someone to church isn’t the same thing as making disciples. I agree. But, a disciple who seeks after Christ, will seek time with God’s people. In Hebrews 10:25, the author of Hebrews spoke the the importance of gathering together with other believers. 14 How then will they call on him in whom they have not believed? And how are they to believe in him of whom they have never heard? And how are they to hear without someone preaching? 15 And how are they to preach unless they are sent? As it is written, “How beautiful are the feet of those who preach the good news!” 16 But they have not all obeyed the gospel. For Isaiah says, “Lord, who has believed what he has heard from us?” 17 So faith comes from hearing, and hearing through the word of Christ. You may worry about what your friend, co-worker, neighbor, family member, or stranger might say if you invite them to church. But, if faith comes from hearing and hearing through the word of Christ, isn’t it worth the risk to invite them to place where the hope of the Gospel of Christ is shared on a regular basis? Don’t you want your acquaintances to come to place where they are encouraged to call upon the name of the Lord? Let’s commit together to be people who live the faith that we say that we believe. Let’s be people who believe that sharing Jesus’ hope with others is the most important thing that we can do this side of eternity. Making disciples is a process that can only take place this side of heaven. Charles “C.T.” Studd, was born to a wealthy English home in 1860. His father, Edward, was converted under the preaching ministry of D. L. Moody. He too followed Christ, but not with passion. Jesus was low on his list of priorities. Studd became a phenomenal cricket player. He would represent England on the national team. So convinced was Studd of the need for people to know Christ, that even with the incredible challenges of travel in the late 1800’s and the early part of the 20th Century, Studd served in China, India, and the Congo. 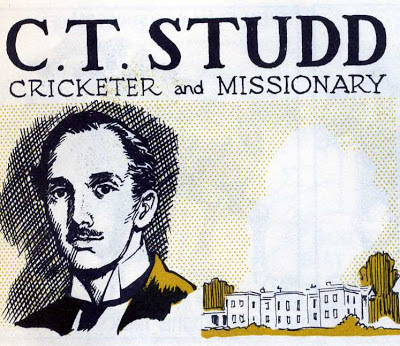 Studd and his wife Priscilla would start Worldwide Evangelism Crusade which included mission work in South America, Central Asia, the Middle East and Africa. What an impact this man and his precious wife made! Today, Studd is best known for a poem he wrote about what really matters. It’s a poem that my Grandpa Ray, a pastor, used to share with his grandchildren, and it’s called Only One Life, ‘Twill Soon Be Past. This poem captures the essence of what this blog post is all about. Invest your life in what Jesus is calling you to invest in. Don’t waste your life! Remnant Ministries produced this quality video of a call to action, from one of C. T. Studd’s sermons. Watch it and be inspired. Grandpa Ray Schulenburg dressed in my Dad’s army uniform. My son Jeremy had a school assignment that he was required to work on over Christmas vacation. His job was to write a paper about when his ancestors came to the United States. It was a joy to work with Jeremy and watch as he discovered his family history come alive. By the time that Jeremy’s assignment was done, I found myself missing my Grandpa Schulenburg. Many of you know that my Grandpa was a pastor for many years, and one of my life’s heroes. Since it was New Year’s Day, I had some extra time on my hands. I remembered an interview that my Grandpa had done for Quad Cities Area Youth for Christ many years ago. I know I have that video somewhere, so I looked for it. I couldn’t find it. Instead I found a videotape that my mother gave me a year or so ago. It was in a box of items from my childhood and some things that she thought I might like to have. The videotape was a 50 year anniversary tape of Youth for Christ International. I watched the video, thinking maybe I’d see my Grandpa in the tape since he was one of the founders of Youth for Christ. He wasn’t on the tape. Until the 50th Anniversary video was over. I almost turned off the tape when I saw Grandpa’s face, bigger than life. There at the end of that YFC video was a 37 minute interview with Grandpa that one of our relatives conducted. In the video Granada shares the history of Youth for Christ. He shares stories about Billy Graham, Torrey Johnson, George Beverly Shea, Paul Rader, and even the famous lawyer Clarence Darrow. He talks about what it was like to be a pastor during the Great Depression and World War II. And, he about his love for his sons and his grandchildren. He shares his passion for Jesus, prayer, and telling the story of Jesus to as many people as he could. He even talked about the state of the modern church and the importance of prayer in the life of the church. I missed Grandpa yesterday. I haven’t heard his voice since his death in 2003. Yesterday, almost ten years since the time of his death, God allowed me to have a visit (albeit via video) with my Grandpa. He was always famous for his advice. I relished the advice that he gave to me as a pastor. I put his video on Vimeo today. Here it is. I hope it is a blessing to you too! Interview with Rev. Ray Schulenburg, Youth for Christ Pioneer from Brian Schulenburg on Vimeo. Thom Ranier finished his blog postings entitled Thirteen Issues for Churches in 2013, with issues 7-13 today. Here are the trends in churches that he is noticing. Innovative use of space. More and more churches are not letting the lack of space keep them from ministering to great numbers of people. It used to be that a church sitting on 3-5 acres could expect to grow to about 500 people maximum on that property. Ranier states that the younger leaders that he is working with say that they can see a church growing to 2,000 in such a space, because they are using the space creatively, offering services at multiple times and in multiple ways. Millennial pastors are not as tied to traditional service times and this opens up opportunities to use space in new and innovative ways. Heightened conflict. As younger leaders continue to assume leadership roles in more and more churches, the conflict between the needs of generations emerges. Ranier attributes this in part to those in the Millennial Generation asking tough questions that people in the the Boomer and Builder generations did not want to address. I am challenged and inspired by some of the difficult questions that folks coming into our church ask on a regular basis. Community focus. Ranier feels that one of the most positive changes in the younger generation of church leaders is a focus on community needs. Churches are increasingly getting away from programs tied to the church building to engage the community where they are at. Cultural discomfort. Ranier speaks of the growing divide between the value of culture and the traditional values of the church. This is a divide that will continue to grow in the 21st Century. I view this as a great opportunity for the church of Jesus Christ to shine bright in our day and age. The early church was radically counter-cultural. Somewhere along the line we became so culturally sensitive that we began to look a lot less like the “aliens and strangers” of Scripture and a lot more like the Joneses. Organizational distrust. Ranier speaks of the growing distrust in our culture towards the institution. We live in a day and age when distrust in government, business, and the church is very high. My prayer is that we as the church won’t give people a reason to distrust us. We ought to be the model for what it means to conduct ourselves with the utmost of ethics. 11 And he gave the apostles, the prophets, the evangelists, the shepherds and teachers, 12 to equip the saints for the work of ministry, for building up the body of Christ, 13 until we all attain to the unity of the faith and of the knowledge of the Son of God, to mature manhood, to the measure of the stature of the fullness of Christ, 14 so that we may no longer be children, tossed to and fro by the waves and carried about by every wind of doctrine, by human cunning, by craftiness in deceitful schemes. 15 Rather, speaking the truth in love, we are to grow up in every way into him who is the head, into Christ, 16 from whom the whole body, joined and held together by every joint with which it is equipped,when each part is working properly, makes the body grow so that it builds itself up in love. I’d love to hear your thoughts on Ranier’s trends and see if you have any more that you would add. You can read Ranier’s entire post here. Thom Ranier has a fascinating post at his blog today entitled Thirteen Issues For Churches in 2013. will face in 2013. He deals with issues 1-6 today and will post the next seven issues in two days. 1) The impact of the “nones” – The percentage of the U.S. population that claims no religious affiliation increased from 15 percent in 2007 to 20 percent in 2012. 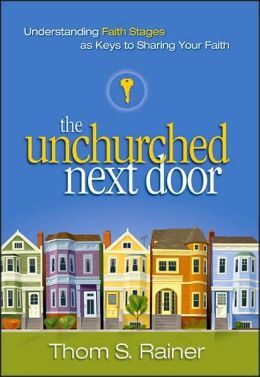 3) Accelerated closing of churches – Ranier predicts that 8,000-10,000 churches could close their doors for good in 2013. 5) The growth of prayer emphasis in local congregations – This one thrills my soul as well. I believe that God loves when we move from being human-centered to God-dependent. It’s so easy to try to do things our way expecting things to happen on our timetables in church. When we sincerely seek God’s direction, His wisdom, and His timing, He has room to work. 6) Fickle commitment – Ranier has some interesting thoughts on the low commitment level of the American church. These are interesting thoughts. I’m looking forward to reading his other seven issues for the church in 2013. Care to guess what some might be? Share your thoughts in the comment section. How Is Your Church Influencing Culture? Dallas Theological Seminary has a fantastic new podcast that pastors and church leaders ought to be listening to. On December 18, Andy Crouch, Andy Siedel, and Darrell Bock recorded a conversation about how the church impacts culture. If you are a church leader, I want to encourage you to take about 45 minutes to watch two podcasts entitled Culture Making and Creativity. The Seminary has done a good job dividing these into two different segments so that you can watch it in two settings. What is the importance of service when engaging in culture? How should the knowledge of “culture making” affect the teaching/communication of pastors and the actions of those in the secular world? How can we see culture in ways unlike ever before? For leaders, how should the idea of “culture making” affect how you lead? You can link to the podcasts here. There are two types of people in this world — those who love it when a group of people show up to their door to Christmas carol, and those who hate it. The life of a pastor is an interesting one. In a normal week I will meet with dozens (and sometimes hundreds) of people in a variety of settings. There is an endless stream of meetings – from monthly ministry team meetings, to staff meetings, to board meetings, to vision meetings, to counseling meetings to meetings with denominational officials and other pastors, to meetings with vendors, to meetings with people in crisis, to meetings with those I mentor, to meetings with . . . you get the picture. There is also a lot of activity that is produced as a result of those meetings. There is sermon preparation, hospital visitation, mission trips, volunteering in ministry at my church and in the community. There is planning and vision casting. There is studying and reading. There are periods in my life where I intentionally take a look at all that I am involved in and pray over what needs to be cut out. It is a freeing thing to stop doing things that are really good so that others can step up and fill my shoes in fresh new ways that more often than not outshine anything that I have done in that area. Perhaps the most important work that I do on any given week is to pray. The older I get the more I learn that prayer is the fuel that drives the church. All of our meetings, all of our planning, all of our busyness, will amount to nothing of lasting value if God isn’t in it. In 2012 I have witnessed God answer prayer in such powerful ways. I have seen the Lord give clarity in areas where apart from Him there would be confusion. I have seen God heal the sick (I just got back from a hospital visit that was so encouraging, where I saw God’s healing on an individual in such powerful ways). I have seen marriages restored. I have seen children walk back to God. I have seen new people coming to faith. I have seen financial worries alleviated. God answers prayer. He is at work! There are some big personal prayer requests that I am laying at God’s feet as we end this year. I know our God can do miracles and I am praying for Him to do so in these circumstances, encouraged by what He has already done. What’s a way that you have seen God work in your life this year?